As 2017 year of our Lord draws to a close, and the sacred Season of St. Philip’s (Pre-Nativity) Fast about to begin, we in the U.S. come again to a peculiar weekend. Our national day of Thanksgiving is perhaps the only remaining civic holiday with an overtly religious purpose: the entire nation is meant to pause and thank God for the blessings bestowed upon it. Of course, many will spend this day without any thought of God whatsoever; since they don’t think of God at other times, why should this day be any different? This is a day for the people of God to delight in, however. We are a Eucharistic people; thanksgiving is our way of life. We are never more truly ourselves than when we are conscious of our dependence upon God, and God’s loving providence at work in our lives. The Greek word, Eucharist, means ‘thanksgiving’. Each time, as we celebrate the Holy Eucharist, we, your hierarchs, offer our gratitude to Almighty God for His love and mercy. We thank our Lord and Savior Jesus Christ for the blessings received through the ministry of our forefathers, both clergy and laity, ensuring the blessed present for all of us. However, we are most thankful for you, the clergy and the faithful of our Metropolia – our extended family, as our most important blessing. Of course, God’s gifts are never given merely for our own enjoyment, but to equip us and empower us to do God’s work in the world. Looking at our world, especially in this time of war in our ancestral homeland Ukraine and in other parts of the world, may we offer even more profound thanks, give more generously, and serve more effectively. When we celebrate Thanksgiving Day this year, let us do so in the spirit of our ancestors. Let us make it more than a day to enjoy family fellowship, fine food and football, by taking time to count our blessings as individuals, as families, and as a nation. Let us begin the day properly, by attending the liturgical service – hopefully at least a Moleben – in all our parish churches to worship and thank our God. Let us offer special gratitude for our religious freedom and remember in prayer all who have ever helped us in a time of need. Finally, as “one nation under God”, we cannot forget those who have less or nothing at all. 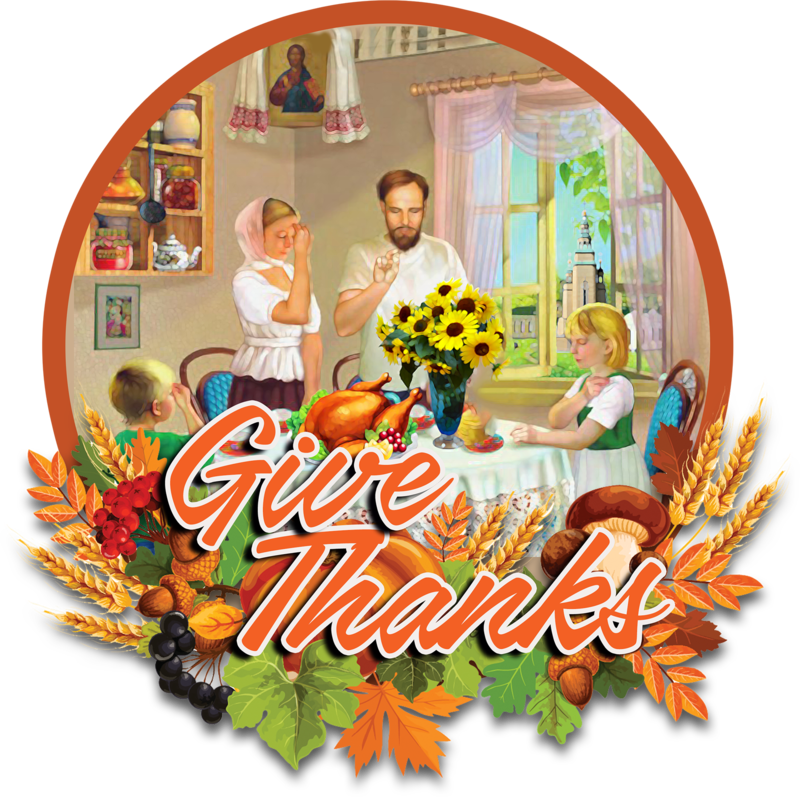 Let us reach out to those in need – for example, through the Ukrainian Orthodox League’s Thanksgiving Tithe Event – to share our bounty, however humble, with them. The very best way to give thanks to God for His abundant blessings upon us is to imitate Him by providing blessings to others. We know well that God is good; may we be helped to tell of God’s mercy and loving kindness to all we meet in this sacred holiday season. May the peace of Christ dwell with you abundantly.